I wish I was wrong. After twenty years of caring for greyhounds, it appears that there are few exceptions to the rule. When an adopter calls us or comes to our clinic with a limping greyhound over the age of eight years old, that greyhound is almost always diagnosed with the same. Osteosarcoma. We can walk through the steps of diagnosis, but the outcome is almost always the same. Your seven-year-or-older greyhound is suddenly limping out of nowhere. First you do the obvious - pick up his paw, look at all of the pads and press them for pain, check for cuts in the pad and/or corns and see if you get lucky. 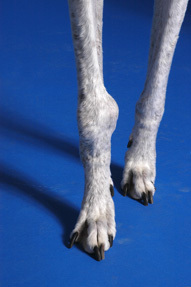 If there is something wrong with the foot as opposed to other parts of the leg or shoulder, your greyhound will most likely be fine. Cuts and corns can be treated. Corns can be maintained or removed and although they may be uncomfortable and may return, your greyhound can still live a good life. Second, you take your dog to the veterinarian where the doctor will do a thorough exam to determine the dog’s range of motion in the afflicted limb as well as the other limbs. Then your vet will do one of two things, or both. They will prescribe an nsaid, such as Rimadyl, Previcox, Deramaxx, etc. and wait to see how the dog does, or they may skip right to an x-ray. We received a call from an adopter whose eleven-year-old dog suddenly began limping. They took it too an emergency vet where the doctor immediately did an x-ray and then diagnosed the dog with a bone spur. The vet prescribed a week’s worth of nsaids. 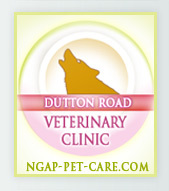 Apparently, those drugs did not have much effect and the owners then contacted NGAP. Between the time they called in the morning, until the time I was able to call them back in the afternoon, they had taken their greyhound to see one of our staff vets at her private facility, since we are in the process of relocating our clinic. Our vet told them it was her belief that the dog had osteosarcoma. The emergency facility had called our adopters later that day to say that the radiologist looked at the x-ray and found nothing wrong. Herein lies the problem – more often than not they just don’t see it. If the clinical signs are there and your dog is in pain, the diagnosis is most likely osteosarcoma, regardless of how the x-ray reads. Our vet prescribed Rimadyl and Tramadol, two drugs that always spell ‘terminal’ to me because that’s what we use on almost all of our terminal dogs. Sometimes it can help for up to a month, but all during that period of time your greyhound runs the risk of spontaneous bone fracture. You are just buying time - and for who? You, or your greyhound? When there is no light at the end of the tunnel, there is no reason to have your dog go through hell, which is what will slowly happen. Each day your greyhound will get a little worse and be in more pain and that little voice in the back of your mind will keep reminding you that your greyhound runs the risk of a spontaneous fracture at any time. When your dog’s leg is dangling, you will feel so much worse about waiting. Of course, there is always amputation. I myself am not a big believer that you will get satisfactory long term results from amputation and/or chemotherapy - especially when your dog is already limping and in pain. The combined cost can be upwards of $15,000. Will it buy you satisfaction? Probably not. Will it buy you a long period of time? Probably not. You can most likely count on a few short months, none of which will be easy for you or your greyhound. A rare few may last longer, but they are truly the exceptions. No one should have a guilty conscience putting their dog to sleep before it is in excruciating pain. 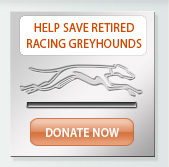 You have given your greyhound a great gift! No one should feel badly because they did not amputate their dogs leg or treat their dog with chemo. Ultimately, you should probe your vet for the hard answers. Veterinarians are programmed to make the process longer and more expensive. 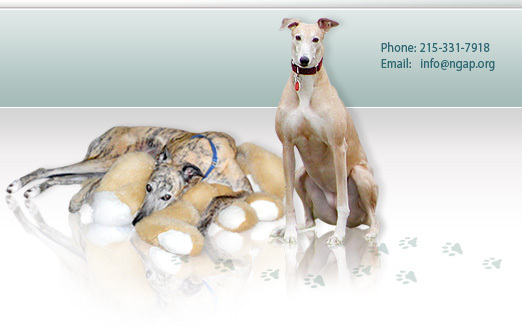 Come to a compassionate decision swiftly putting your greyhound first and your feelings second.